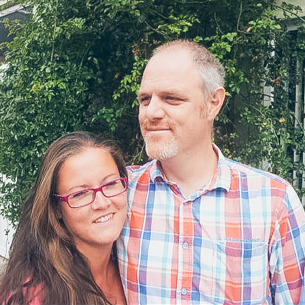 Created to Worship is run by Matt and Bethan Venn, with the help of our wonderfully creative team of sparkling assistants from churches all over the South of England and beyond. Our aim is to encourage and equip believers, to freely and confidently express their worship to Jesus, using their God given creative gifts, as we come to know our identity as Sons and Daughters of the most amazing Father, our Awesome Creator God..
Holy Spirit is always welcome at our events! We provide opportunities for prayer and prophetic ministry whenever we meet. As God's children, we actively seek to be released from the things that hold us back; fear, pain, sickness... so that we can live in the fullness of all that He has for us. We offer practical, creative workshops at our conferences and schools, so we can learn and experiment with new crafts, or build on skills we already have, with guidance and encouragement from experienced tutors and teachers. We choose to live a lifestyle of worship, so teach on ways to express it in our normal day to day life. Worship is not just for Sundays! The Created to Worship team is a 'family' of believers from many churches all over the UK, as well as overseas. They all share the same love of Jesus and a desire to make him known. As a family, we love to use our unique gifts and creativity to express our worship to Him, whilst encouraging others to do the same.